It's funny the places you find inspiration, it lies all around you.. you just have to be listening. I got captivated in e60. I normally don't like to watch that show because they all seem to be depressing sad stories.. But i am glad I was listening.. listening to this young boy, Davan Overton's, perspective on hope. In the second half their team was ahead in the game. and had countless misses at the basket..
"What are you going through with each of those misses?" Davan's mom was proud, proud that he doesn't get frustrated or angry..
proud that he just keeps trying. "With each of those shots what are you thinking?" "it's going to be like any other game, I usually miss"
"then why do you keep shooting?" it's why we get ready for school. Hope that somethings gonna happen thats going to change your life forever. It's such a positive word. It can carry you through the everyday challenges of life. with a firm hope that ye shall one day rest from all your afflictions." posting on my blog about my miscarriage..
what I am suppose to be learning from "infertility". Next month is our year mark from our miscarriage. The necklace was from a local fellow blogger who does not personally know me.. I would find myself wearing the necklace just for "good luck". and I'm not quite sure that's a bad thing..
because hope at the end of the day is what gets you through most trials in life..
hope that something good or better is going to come your way. I just gained a whole new perspective on how powerful one little word could be. Love this!! Sometimes its just so hard not to want to give up on things but then that little reminder is always a great blessing! I started following your blog a couple of months ago. I read your infertility story and it pulled at my heart. My husband and I have been trying to conceive for over 3 years. We do not have any children. Last September we did conceive, the happiest time of our married lives, only to loose our sweet baby at 7 weeks. October 24th will be a year since our miscarriage. Of course this is the month I am a week late and thought 99% sure I was finally pregnant. I now know I am not. I am barely holding it together and I am surrounded by pregnant women and babies at this time in my life (including my sister). Every month feels like a trick. Tricked into hope, and disappointment IS inevitable. I fear the day that I no longer hope (as you said), even though hope bring so much pain in disappointment, it is what keeps you going. All of this to say, I understand. I feel so alone in this struggle, and reading your posts eases the ache on my heart. Thank you so much for sharing, I know it is hard! You're so brave. Love this post. 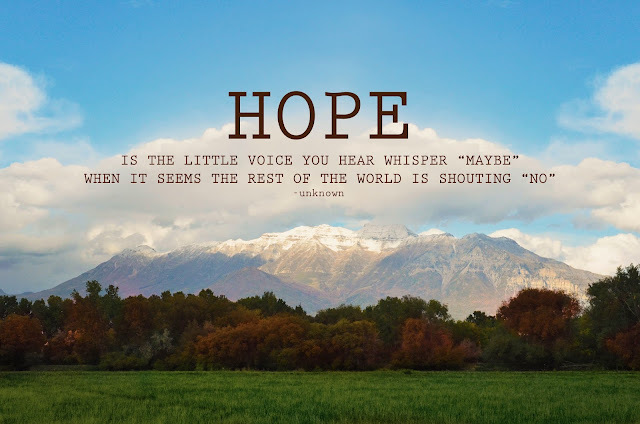 Hope is one of the most powerful and sacred things in life. All the best to you, Lindsey! Playing catchup while all kids are finally sleeping. I think about you a lot, always hoping for you too. Just know you're always in my thoughts, I just don't want to pry. Love ya girl. Stay strong. Lex and Ty are lucky to have you.